This one is a little bleak, to be expected with the theme of Pain. As before, here are three pieces related to the theme. 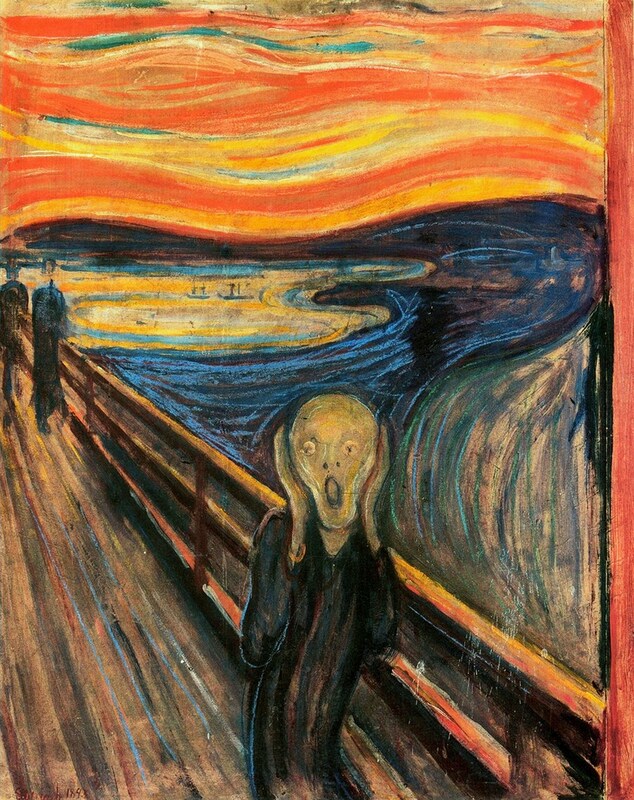 The Scream by Edvard Munch has always been a favorite of mine. I love how the artist uses simple forms to generate so much emotion and expressiveness. I saw a Munch exhibition at a museum many years ago and fell in love with many of his works, despite (or maybe because of) how dark and unsettling many of them are. Continuing down the dark path, here is my creation. Finally, here’s Fell On Black Days by Chris Cornell (with Ben Shepherd from Soundgarden). I’m such a fan of Chris, including Temple of the Dog, Soundgarden, Audioslave, and his solo work. Definitely one of my all time favorite rock vocalists. This song was supposedly written about a period in his teenage years when he suffered from depression. I prefer an acoustic version. The Betrayal, STUNNING! What a touching, chilling and emotion provoking work. Thank you. Oh, diversion! I truly love the poem and I am a huge fan of Chris’ talent as well. Great post. Thank you! Your poem was beautifully written and Fell on Black Days is one of my favorite songs!! Black Hole Sun is great too. Are you aware that Cornell has actually recorded a country song? I was floored when my husband told me and I listened to it. Not too shabby either. A lot of these new kids coming up today have no idea what good music is. Lynyrd Skynyrd beats them all though. Our boys will listen to them, though. It’s tough to top some of the classic rock from the past. Skynyrd by far. My husband and I seen them in concert years ago. 3 rows from the stage. Awesome!!! It was. I’ve seen Marilyn Manson when he did the Anti Christ Superstar tour and few others, by they by far and they’re my husbands favorite band, so it meant alot to me to get him there AND that close to the stage. It’s always extra special when you can sit up close. I must be bleak proof I loved it!